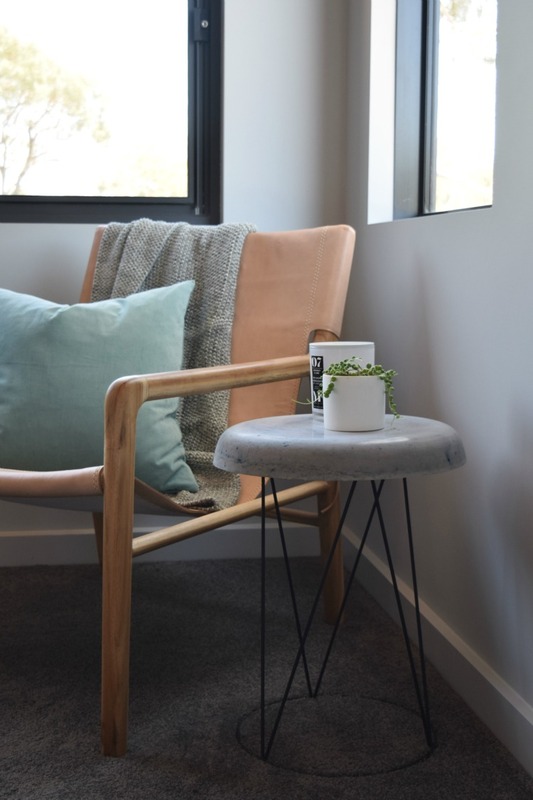 Our love of concrete and Kmart hacks continues this year! 1. 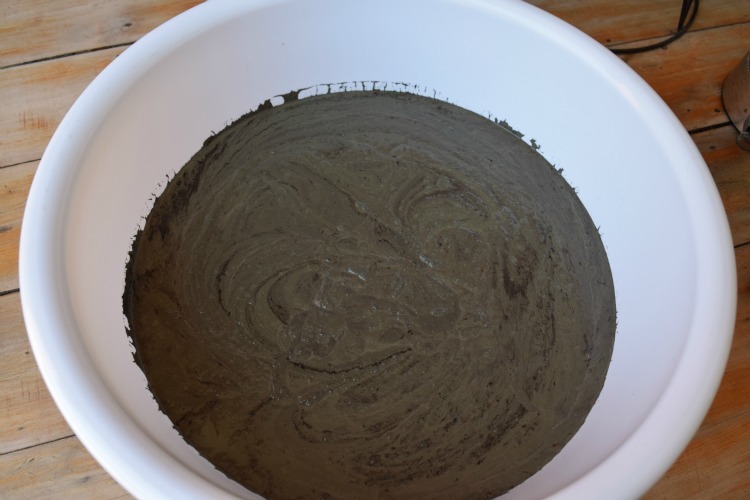 Mix enough concrete to create a depth of 6cm in your plastic mould. 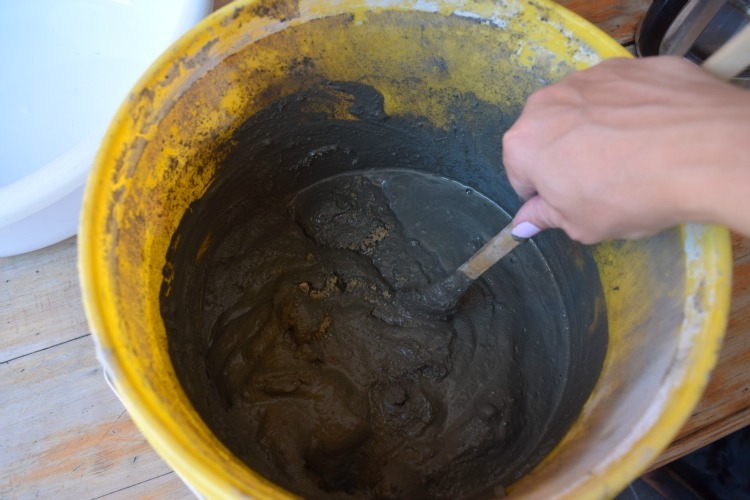 Our mould has a diameter of 38cm and we used a ratio of 2 parts sand to 1 part cement, using approximately 8 cups of sand and 4 cups of cement. You want to create a smooth, cake-batter-like consistency. 2. 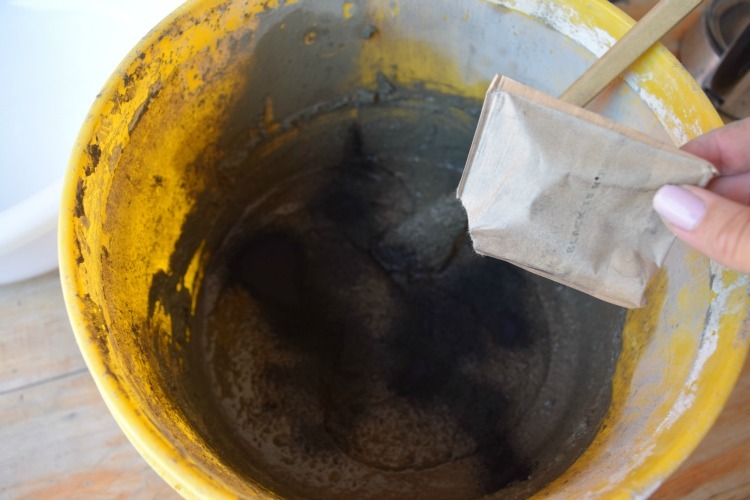 Once your concrete is mixed well, sprinkle in half a packet of fabric dye. 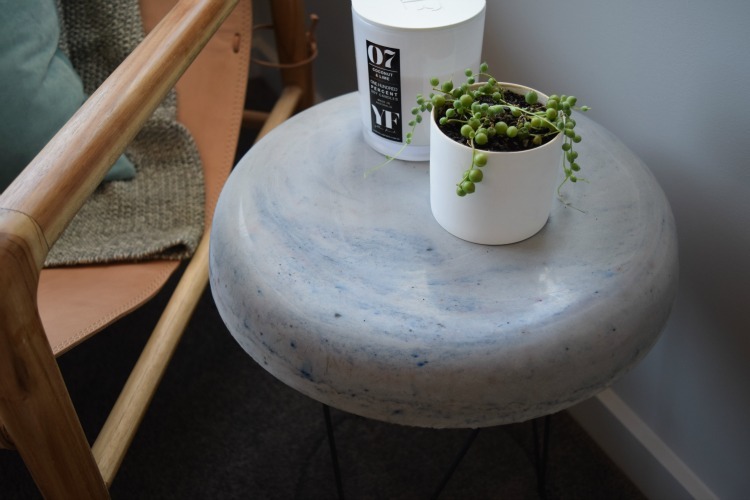 This is an optional step but we love the mottled colours the black dye created in our table. Gently stir but do not mix well as we want the marbled effect. 3. 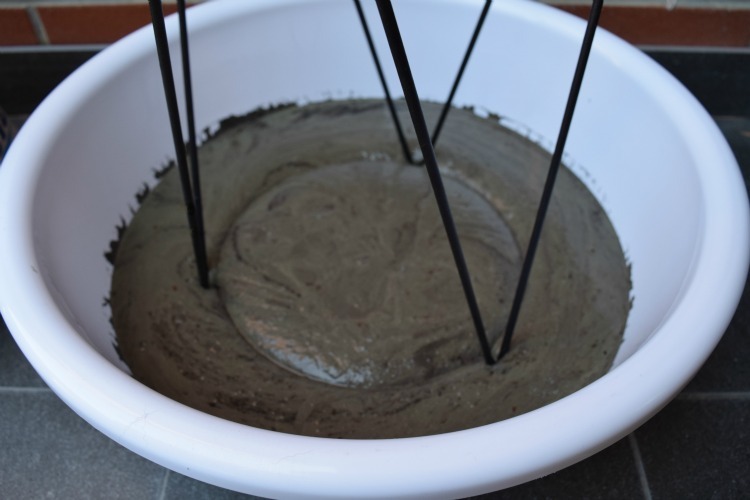 Pour the concrete into your plastic mould and gently tap the container several times on a hard surface to release any air bubbles from the concrete. 4. 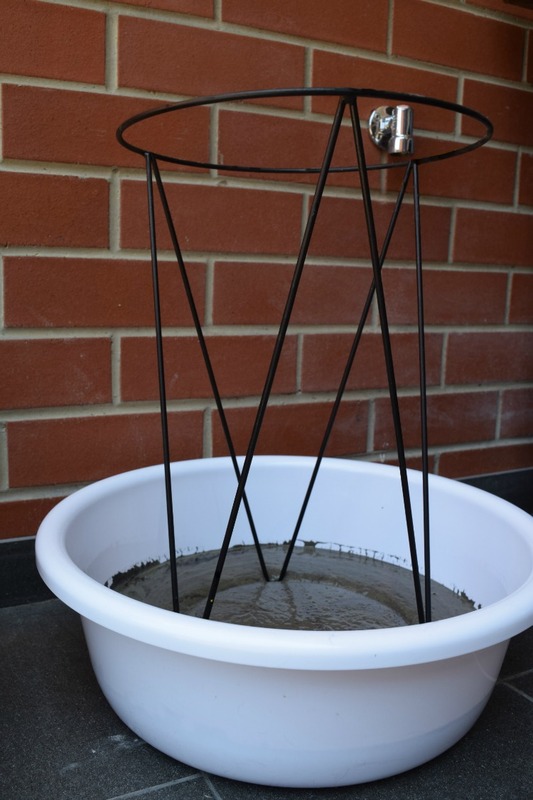 While the concrete is wet, place your pot plant stand in the centre. It should sit 2cm deep in the concrete (be careful not to push it to the bottom or it will poke through the top of your table). 5. Allow to dry for 72 hours. This is by far the hardest step because curiosity can get the better of us, making us want to ‘check’ how it’s going but any movement of the concrete while it’s drying can cause it to crack so STAY AWAY!! 6. Once dry, gently turn upside down and the plastic container should just slip away. 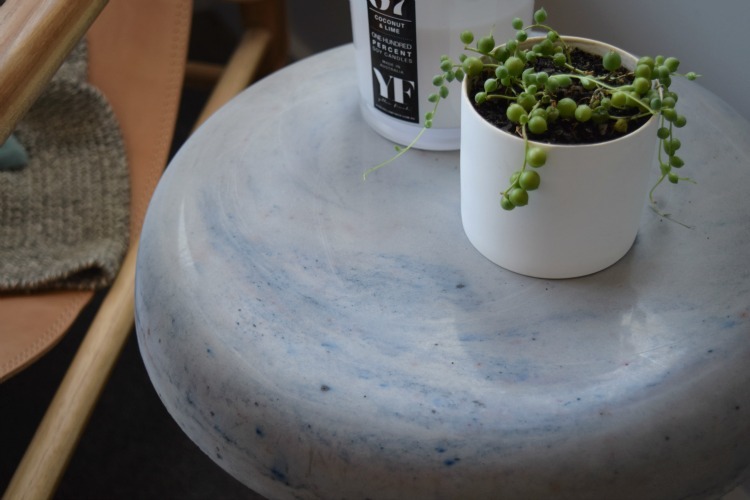 What do you think of our concrete side table? We love the unusual colours and patterns the dye creates and were surprised with how smooth and shiny the top turned out! Previous articleZakkia unveil their latest range, now including tableware! 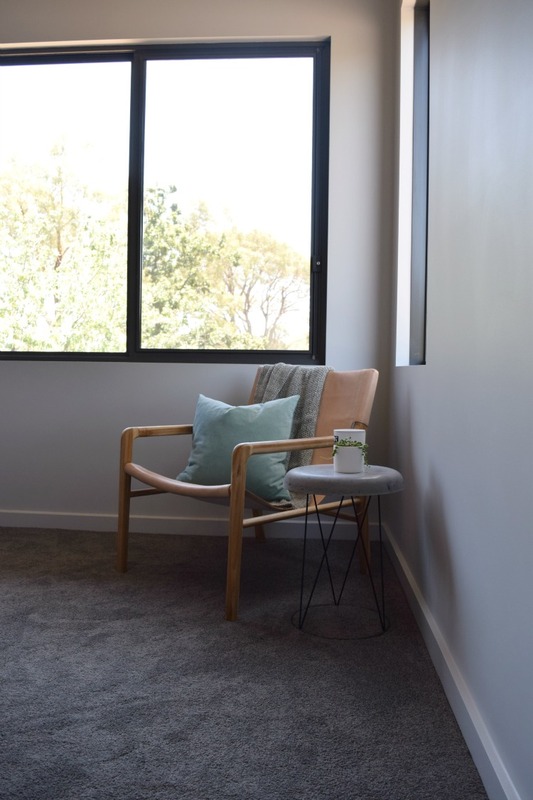 Next article5 things we’re dying to buy for the home! 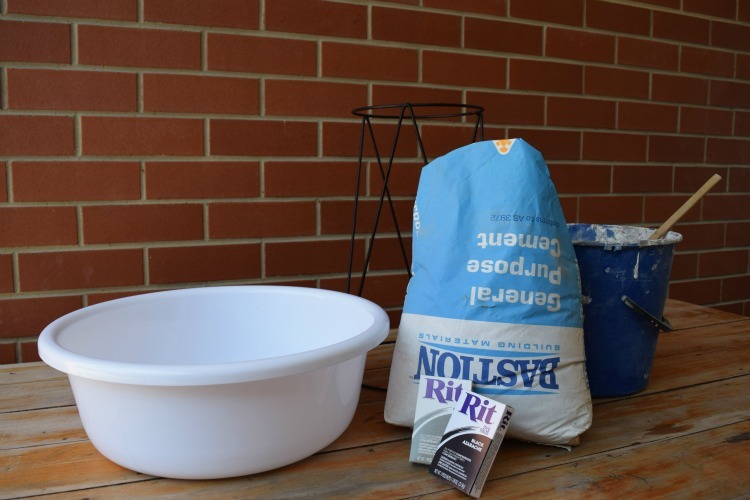 I absolutely love this DIY project. EeeK! love this! What spray paint did you use? Thanks lovely 🙂 we used ‘Flat black’ British Paints spray paint, available at Bunnings. Happy making! This is so hot! Cant wait to try it out!